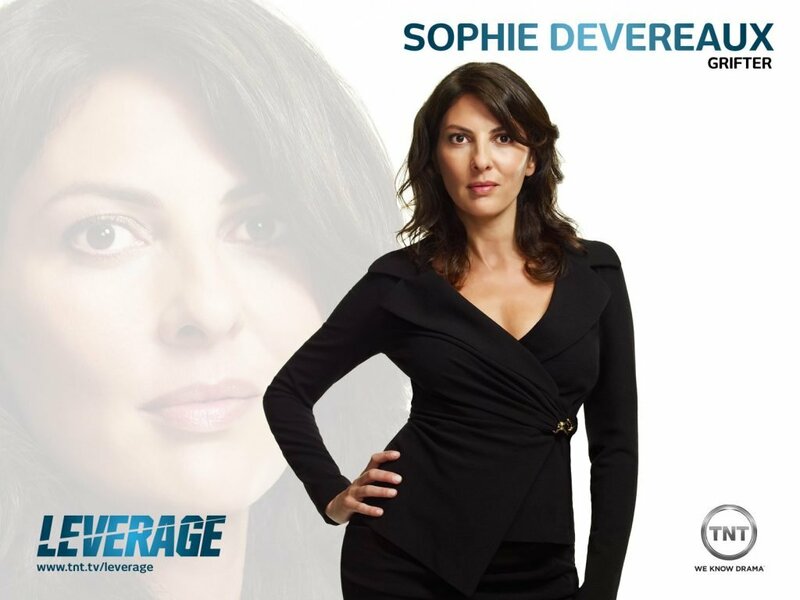 Leverage is a show based around a team where everyone brings something to the table. All the special skills are presented in an opening heist that showcases their strengths and weaknesses. These skills entice audience because unlike superpowers, these skills are rooted in reality and people can learn more about them. The skills may be presented a little over the top on occasion, but that is to be expected for entertainment. Usually shows have one person with the specialized skill, but Leverage gives a skill to each person creating an interesting team dynamic and plenty of story opportunities. There are two ways this element can go. Either the team has worked together and knows each other well with an additional person that no one knows well, or the team has never worked together and the whole operation is going to be a challenge. Leverage uses the second approach with a team that comes together and after getting conned and almost killed, ultimately stays together. The reasoning for the whole team staying together and helping Nate do good is questionable, but it works for the show and is probably explored later. Nate is an honest character with a tragic background and has been betrayed by the company he worked for. Even the criminals he has tried putting away respect him for his work and skills. By teaming up with them, he acts as a vigilante trying to bring justice to those who deserve it and bring closure to those who can’t fight. 40. Good-looking, still sharp despite the layers of insomnia and hangover damage he’s accumulating as as he can. …is young, thick-shouldered, looks like he should be playing pro ball. … is coiled, precise. Gold wire-rim glasses. She’s slender, a cat-burglar’s build, oozing all sorts of sexuality. But there’s a dorkiness, and awkwardness. Sophie’s all curves and mist, currently laced into a period corset and over-acting magnificently. There are no character differences. A scene of Nate trying to get a job at a hardware store, but lets the manager know he is being robbed after a fire goes off. Victor Dubenich asks Nate to join his team to help steal his airplane designs back from a rival company. 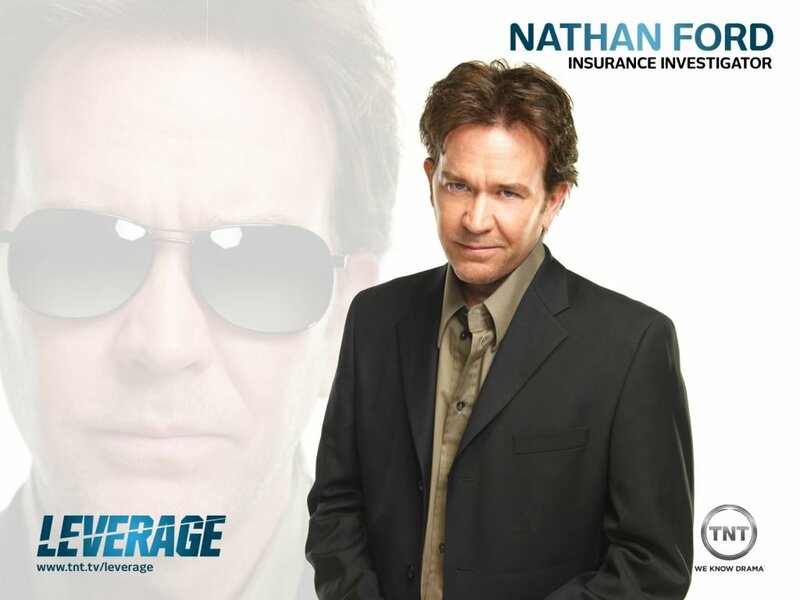 Nate is applying for a job or undercover at the beginning of the episode as it showcases his talent to spot people trying to pull a fast one. This isn’t relevant to the plot and never comes up, so its cut. Dubenich asks if he wants to get back at the insurance company who let his son die. Chryon says: Nathan Ford. Insurance Investigator. Chryon says: Nathan Ford. Ex-Insurance Investigator. Dubenich first says : "Didn't get the job, huh?" Since the interview scenes are cut, Dubenich just approaches Ford and apologizes for interrupting. Nate saying “It’s show time.” is added as the team gets in place. Eliot and Hardison look inside the R&D room after Eliot takes out the guards and the mag lock unlocks the door. Parker entering the building is inter-cut with Eliot and Hardison entering through the grate. Parker in the supply closet monitoring security is inter-cut with Eliot and Hardison in the elevator. Nate giving commands is intercut with Parker in the supply closet and Eliot and Hardison in the corridor. Eliot and Hardison get off the elevator before Parker and Nate discuss the security team. Nate and his team steal the Pierson airplane designs for Dubenich. The heist remains relatively the same, the only real difference being how the scenes were edited and intercut together to make the transition between each more smooth. For example, as the team enters, the scenes are inter-cut instead of one after the other. It is established that Nate is another building altogether, but whenever Nate speaks, ON NATE appears in the script during that scene, indicating the shot would be on him. That is the case for most of Nate’s dialogue, but there is the odd time that his voice is only heard through the communication devices. The team disperses their separate ways after the heist. No Chyron of Pierson building. Chryon added for Pierson Building. Nate just sets up the projector. Nate sets up and turns it on to show the building schematics. In hotel flash back, Hardison mimicks Mick Jagger. In the hotel flash back, Hardison sticks with the Star Wars theme and says "This is not the room you're looking for." Hardison gives the ear bud to Eliot and then explains how it works. 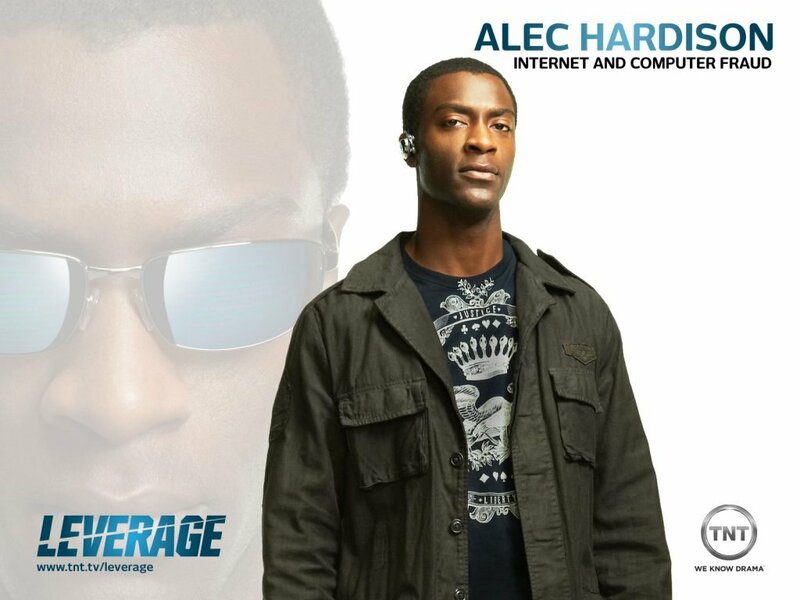 Hardison explains how the earbud works then gives it to Eliot. In flashback bar scene, thugs charge at Eliot. In flashback bar scene, all thugs pull out guns and aim at Eliot. Parker is checking her cables when introduced. Parker is checking her earbud when introduced. In Parker's flashback, her father puts her bunny on a high shelf. In Parker's flashback, her father keeps the bunny with him. Parker waves as she jumps off the building. Parker screams and doesn't wave when she jumps off the building. Parker commando runs down the building. Parker just drops in front of the window. Eliot smacks Hardison's arm and he rubs it indicating it hurt. This is cut. Nate turns on the projector when there's a problem with security. Nate already has the building schematics ready. As Eliot takes out the guards, he ejects gun clips at the same time. As Eliot takes out the guards, it is unrealistic to eject the gun clips at the same time. He only ejects the last guard's gun after they are all knocked out. Parker motions the men to turn around as she changes in the elevator. Parker just starts changing and the men turn around out of respect. There is one lobby guard. There are two lobby guards. The second one stays at the desk. Parker uses two canes. Parker uses one cane. Parker, Eliot and Hardison get out of the building before Nate pulls up. Nate pulls up as the three are dealing with the lobby guard. Nate gets out of the car and helps the team load up while the lobby guard locks up. The team immediately gets in the car and the lobby guard walks back to his station. The team changes into casual clothes after the heist. The team is already changed and waiting for Hardison to send the files. A scene of the crew getting in the car after recruiting Sophie. Hardison taking a photo with the Iphone and sending the fax are inter-cut with Nate calling the cops from the nurses phone. A scene of the officers releasing Hardison in the hospital room. An establishing exterior shot of the theater. Nate and his team are betrayed and almost killed by Dubenich. Nate and his team work together to escape custody. Nate and his team recruit Sophie. There isn’t any significant changes to the overall storyline. The team escapes together, still managing to work like a team despite their differences. Sophie is recruited to the team and from a story standpoint is fine. However, her motivation is a little thin, with the only reasons being the money or because she really likes Nate. Nate is described as looking hungover. There are empty bottles on the night stand, indicating Nate is hungover. Nate fires his gun to stop the argument between Eliot, Parker and Hardison. There is no real argument and Nate never fires his gun. He just explains the situation. Nate pulls up Hardison after he falls running. Eliot pulls up Hardison after he falls running. Eliot opens the metal door and only Parker gets halfway through before the building explodes. Nate opens the door and waits until everyone is out, but the building explodes with him still inside. Nate states how long it will take for the prints to run. Hardison states how long it will take for the prints to run. Parker pickpockets the doctor's car keys, hospital id and both his phone and the nurse's phone. Parker only pickpockets the doctor's phone, while Hardison pickpockets the nurses. Nurse hands the officer the fax. Another officer hands the officer the fax. The team is already in the cruiser waiting for Hardison. Hardison puts Eliot in the cruiser and in the process bangs his head. Hardison's place has big LCD screens along the wall. There are no big LCD screens. Hardison says "What the hell's a Sophie?" Eliot says "What the hell's a Sophie?" Sophie's chryon: "Sophie Devereux. Griffter." The chryon type for Sophie is not used. Eliot watches more of Sophie as the rest of them leave. Theater scene ends as Nate gets up. Sophie hugs Nate. There is no hugging. In the flashback, Nate gets shot in the shoulder twice before shooting Sophie. Her response is "Son of a ." In the flashback, Nate is only shot in the side before shooting Sophie. Her response is "You wanker." Parker breaking into Dubenich’s office and planting a bug. Eliot distracting the assistant as an IT fixing her computer. Jenkins telling Dubenich he is concerned about someone finding out about the stolen plans. Eliot passing through security with a bag of tools. Nate reacting uncomfortably to Sophie flirting with Dubenich. Eliot saying bye to the assistant as Parker leaves the office. Dubenich returning to his office and just missing Parker and Eliot. Parker and Sophie talk about Sophie’s ability to manipulate. Parker tries to charm a businessman but breaks his finger by accident. She steals his briefcase after giving up on the pickup. Sophie waiting for Dubenich and meeting Dubenich are combined instead of separated by other scenes. Eliot saying bye to the assistant as Parker leaves the office is combined into one long scene of Eliot distracting and Parker snooping around before escaping. Nate and his team study Dubenich and form a plan. Sophie secures a business meeting with Dubenich. As with the heist, the scenes of Parker and Eliot in Dubenich’s office are intercut when necessary instead of following in sequential order. Scenes of Nate and Hardison speaking to the team are also intercut between Dubenich and Sophie’s meeting when necessary. There is a scene at the end where Parker tries to emulate Sophie’s skill of charming a male, but it doesn’t really add to the overall story and is probably why it was cut. Pilot: Dubenich agrees to a meeting. Screenplay: Parker tries and fails to charm a male business man. Dubenich leads Sophie out of the office. Sophie leads Dubenich out of the office. Only Parker is heard talking on the phone as IT. The assistant is also heard and shown talking to Parker about her broken computer. Sophie and Dubenich talk on a rooftop garden patio. Sophie and Dubenich talk on a ground garden patio. Dubenich takes the meeting and Sophie says goodbye. Dubenich takes the meeting and tries to shake Sophie's hand, but she tells him when to meet as she walks away. Dubenich talking to Jenkins as Hardison listens. As Sophie tries to use the elevator, it is shown full of Japanese tourists. After the meeting with the Nigerian’s, Dubenich pulls Sophie aside and asks when they want the money. Nate smashing car windows and Dubenich reacting each time before finally checking out the commotion. Dubenich meets with the Nigerians. Dubenich reveals he is onto their scam. As with the other scenes where the whole team is involved, Dubenich’s meeting and the team trying to get set up is intercut when necessary. Some scene orders are rearranged as well. There is a scene cut with Jenkins worried about being caught with the stolen designs. Since this already known and doesn’t really fit into the teams overall plans, it was unnecessary and cut. Dubenich tells Jenkins to notify the FBI. Hardison tells Nate they have activity from the bug. The scene with Dubenich is cut, so Hardison never mentions any activity. Nate hesitates before turning down beer from Eliot. Nate does not hesitate turning down the beer and then calls his shot in pool. In a flashback, Nate watches as his son dies in the hospital. In a flashback, Nate watches his son fight for his life, but never dies in the scene. Pool scene ends after Eliot and Nate talk. As soon as Nate is done talking with Eliot, Sophie asks Nate for help putting in her earbud. Eliot is first shown unscrewing a sign beside double doors. Eliot is just walking down the hall. Parker pulls Sophie away from the elevator. Parker gives Sophie a harness, then leads her away as Eliot exits the same door carrying a sign. Sophie catches Dubenich before he uses the directory. Sophie catches Dubenich just in time as he is using the directory. Secrurity guards study photos of Hardison, Parker, and Nate. Reveal of three cars following Babatunde’s car. After Dubenich realizes what is going on, he runs out to calm the shareholders. Dubenich realizing Sophie switched the envelopes as he thinks back between flashbacks. Jenkins telling the employees to shred the evidence of the theft of Pierson designs as he dumps the shreds out the window. Flashback of Sophie shaking Dubenich’s hand as Anna, which was already shown in Act 3. Flashback of Eliot changing signs, which was already shown in Act 4. Establishing shot of suburban home. Dubenich is arrested by the FBI for attempting to bribe the Nigerians. Nate and his team steal back the documents. Nate and his team make money off collapse of Dubenich’s company. Nate and his team offer their services to a couple. No significant changes in the final act. The only change is the police actual storming the party because its on the ground and not the roof. It does make more sense and provides a more urgent threat to have them dispersed through the crowd instead of watching them storm the building below. The flashbacks were also cut if the scene had already been shown. It didn’t make sense to show the same thing twice. The team offers their services to a couple who’s daughter was killed. During the montage, Nate displays a moment where there is a kink in his confidence. Nate remains confident throughout. Dubenich sees Sophie greet the Nigerians. Dubenich does not see Sophie greet the Nigerians. Agent Higgins flashes his badge and then Dubenich says he spoke to Higgins on the phone. Dubenich says he spoke to Higgins on the phone and Higgins flashes his badge. The shareholder party is held on the roof and guests watch as the police and FBI arrive on the street below. The shareholder party is held on the ground and the police and FBI actually storm the party. Higgins addresses Babatunde when asking if anyone else was involved with the bribe. Higgins asks out loud if anyone was involved with the bribe. A shareholder tells Dubenich the news crews are there documenting. There are no news crews mentioned or shown in the scene at the time. Dubenich switches channels as he watches the news about his company. Dubenich stays on the same channel. Higgins tells Dubenich he can answer his phone. Higgins is not in the room and Dubenich just answers his phone. Nate passes out envelopes as he talks to Dubenich on the phone. Nate joins his team and passes out envelopes after he talks to Dubenich on the phone. Sophie says the money is retirement money. Hardison says the money is retirement money. Sophie steps in front of Nate and rejoins everyone. Sophie calls Nate to distract him and then she is shown sitting on the bench in front of him and the team waiting to rejoin. Team is revealed after the father said they couldn't appeal again. The team is revealed after the father says he can't pay Sophie. Hardison’s actor adds own spin on character. All other character say lines exactly as is, he has a few ad libbed lines. In the screenplay, there is tension and hint of past romance between Nate and Sophie. From the pilot there is sexual tension, but more from Sophie than Nate. He’s remains focused throughout the job and isn’t distracted by Sophie being apart of the team. It is clear that Nate has a drinking problem likely due to his child dying. In the screenplay, this issue is a struggle for Nate. While he’s on the mission he is trying to control himself as noted by hesitating to say no when Eliot offers him a beer. However in the pilot, once Nate goes on a mission, he is clear minded and has full control over his drinking problem. Nate is on his game during a mission and his team genuinely respects him for his leadership, wide range of knowledge and his honesty, despite all having faced off against him in the past. 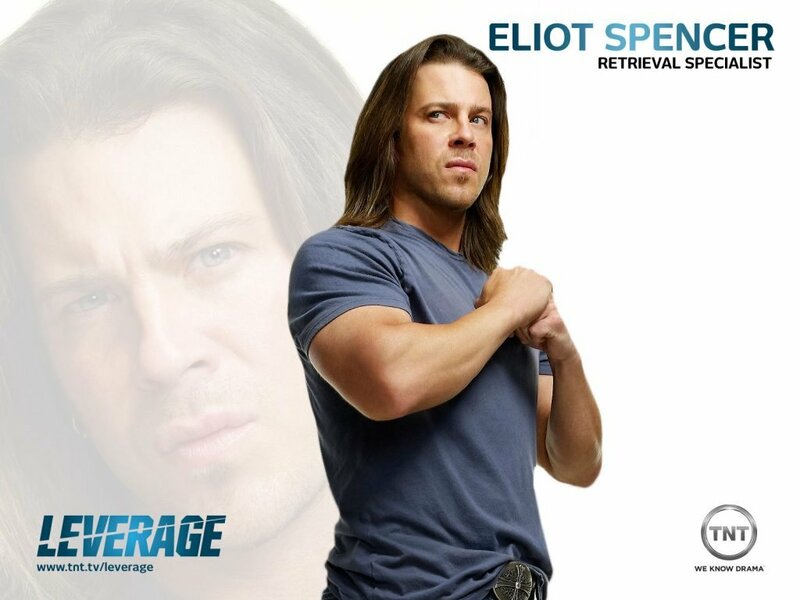 I picked leverage to understand the pilot of a group of people with special skills coming together as a team. First heist to showcase skills. Keep in mind this first heist was tied to the second job which makes the story connected instead of one different job that has no consequences. Structural very little is changed except the arrangement of scenes in a particular sequence. It’s quite possible the scenes were filmed as scripted and during the editing process the scenes flowed better as seen in the pilot. The story line of Jenkins paranoia is also cut down to one line he mentions to Dubenich in the pilot. Verdict: Minor changes from inter-cuts likely due to editing. 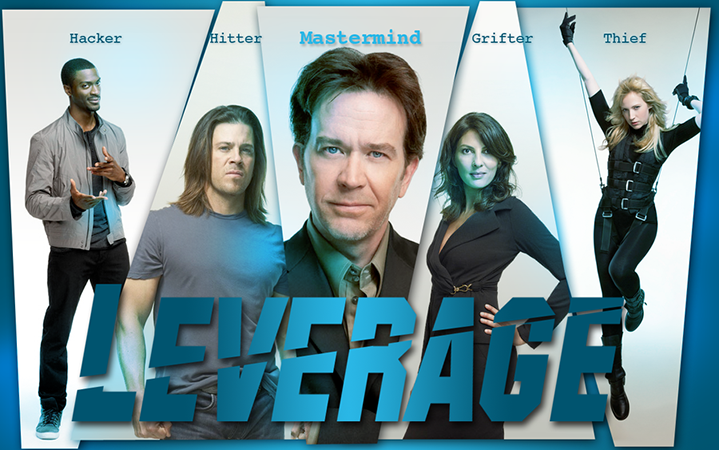 Overall Leverage provides a good example of how an episodic show based on a group with special skills can be structured. Each character is inherently easier to write because their skills already provide one aspect of their personality and then the backstory usually involves why they learned that skill. Tying the initial heist to the pilot story or overall story is also important so it connects to the plot and has dual purpose other than just showcasing their abilities. The characters are all criminals but white collar crimes involving money not murder. It’s easier to sympathize and root for them with the justification similar to Robin Hood, which is steal form the rich and give to the poor. Nate remains the only honest character and acts as their moral compass to ensures they don’t break the law for their own personal gain. 2. Jenkins Paranoia scenes cut. 3. Flashback scenes not shown again. I will be adding a difference rating at the end of each article to note how much the pilot changes from the screenplay. This script is full of inter-cutting scenes. Because the sequence of scenes usually involve more than one person in more than one place, the editing inter-cuts even more in the pilot. Chryon is used to indicate typing on the screen. It is used in Leverage to indicate the name and skill of each main character as they are introduced. There is an example of a montage in Act 5 as the team gets ready for their plan. In the screenplay, a few of the flashback scenes are shown again to remind audiences what happened earlier. These repeating scenes were cut allowing the audience to put it together themselves. No team script is complete without an opening heist to introduce the team and showcase their talent as well as their ability or inability to work together.